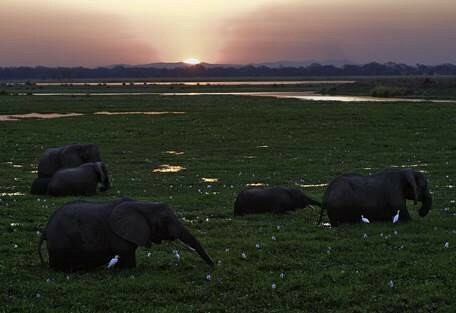 The lower Zambezi Valley is home to the spectacular Mana Pools National Park; Zimbabwe's second World Heritage Site. 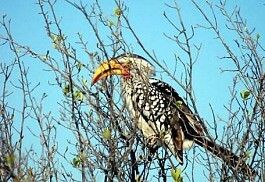 This area is teeming with wildlife especially during the months of June through to October. The park is popular for canoe trails, as well as walking safaris. It is an adventure safari destination and not for the faint-hearted. Mana Pools is also known for its abundance and enormous beautiful trees providing shade and making it ideal for walking. The 'pools', for which the park is famous, provide permanent water year-round, attracting an enormous amount of wildlife, including large predator populations. 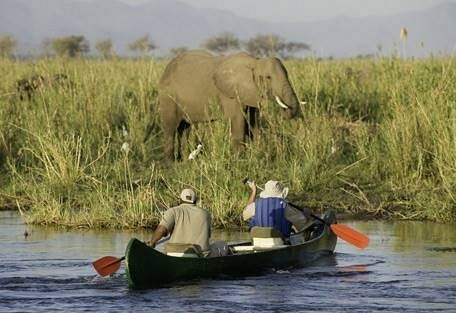 Close encounters with animals are a part of game drives, while the best way to explore this magnificent park is either on foot or by means of a canoe down the Zambezi River. The best time to visit the park is from May to October; however temperatures can be fairly high towards the latter part of October. Mana Pools National Park is a World Heritage Site in Zimbabwe, giving it protected status and maintaining it as a wonderful wildlife destination. The name, Mana Pools, comes from the 4 permanent pools that form in the meandering Zambezi River. The word 'Mana' comes from the local Shona word for 'four'. 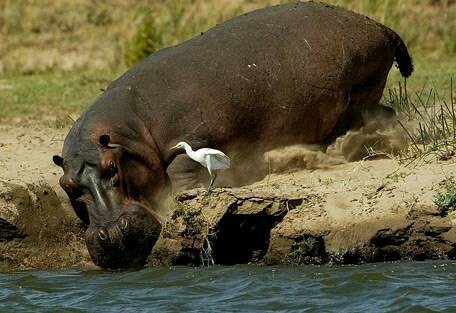 This National Park has the country’s biggest concentration of hippos and crocodiles, as well as the large populations of elephant and buffalo, which flock to the permanent pools in the dry winter months. There are a variety of camps and lodges in the park, ranging from affordable to luxurious, and all offering an exceptional wildlife experience in this very wild region of Zimbabwe. Zambezi Lifestyles Camp is an intimate 8 bedded camp set up on the banks of the Zambezi River in Zimbabwe's famous Mana Pools National Park. 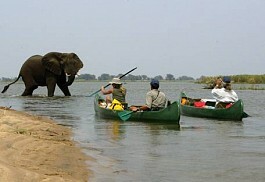 Activities include canoeing, fishing, tracking game on foot, and traditional game drives. Offering a pure untouched wilderness experience, Kanga Camp is situated in a remote part of Mana Pools National Park. 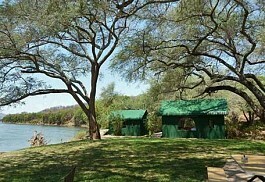 Situated in a private concession inland from the Zambezi River en-route to Chitake Springs. Nyamatusi is a family-friendly camp situated in Mana Pools National Park. This intimate and beautifully located camp is specially designed for kids on safari while creating memories for the whole family. Chikwenya Camp has been rated by many as one of their favourite camps in Africa, situated in the world famous Mana Pools National Park. Chikwenya offers a unique location, incredible game viewing opportunities, as well as expert guiding. Vundu Tented Camp offers a superb location in the world famous Mana Pools National Park; a World Heritage site renowned for its abundance of wildlife. 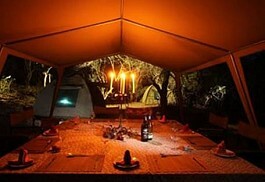 The emphasis at Vundu Tented Camp is on offering guests a private and personal safari experience in a remote location. This semi-permanent luxury tented camp on the banks of the Zambezi River, is situated between Gwaya and Mucheni in Mana Pools National Park. The camp is personally managed by Stretch Ferreira who has operated in this area for 25yrs. Ruckomechi Camp is a luxury bush camp offering an exclusive location combined with incredible game viewing and exciting wildlife activities accompanied by expert guides. 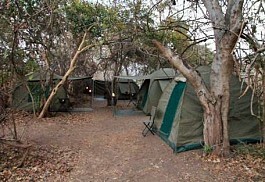 The tents at Ruckomechi are spacious and offer en-suite facilities. Kavinga Bush Camp offers a unique fusion of exciting and fantastic game viewing and the peace and tranquility of the area offers a unique safari experience. The Chitake River rises in the Zambezi escarpment and meanders its way through these magnificent hills. Found in the southern part of Mana Pools National Park at the Chitake Spring, close to the bottom of the Zambezi Escarpment. No facilities are provided at these camps, and only four wheel drive vehicles can access these camp sites. A safari at Kavinga River Camp promises to be a full and exciting one, with its magnificent location on the Zambezi River. Guests can enjoy early morning tea or coffee and a light breakfast before enjoying one of the camps many activities on offer. 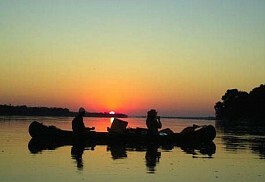 A Zambezi Canoe Safari offers an adventure of a lifetime where guests will camp and canoe down the spectacular Zambezi River, the 4th largest river and one of the greatest rivers in Africa. Canoeing is a unique experience and no prior canoe experience is necessary. Chewore Lodge and Campsite is situated in a beautiful woodland setting at the confluence of the Chewore and Zambezi Rivers. This is a prime fishing and wildlife location within the Chewore Safari Area, which is a UNESCO World Heritage Site. 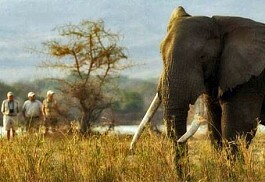 Goliath Tented Camp is in the heart of Mana Pools National Park and is situated just metres from the rivers edge. The luxury ensuite East African tents are nestled in amongst a grove of Albida and Mahogany trees. Guests here are guided by renowned Maba Pools field ranger, Stretch Ferreira. 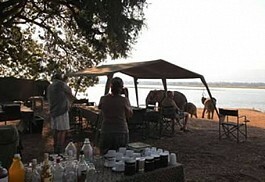 Camp Zambezi is a static tented camp set up on the bank of the mighty Zambezi River. A true bush camp without any electricity, permanent structures, or plumbing, yet the camp is extremely comfortable and accommodating. 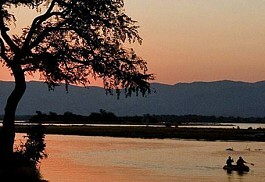 Mana Pools National Park is located in the heart of the Zambezi Valley. The area offers a wide variety of habitats, open floodplains, mopane woodland and riverine forests as well as large acacia and mahogany trees. 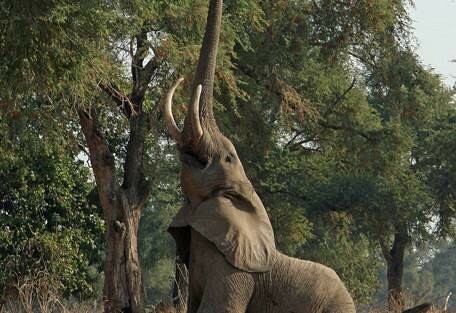 The canopied albida trees attract elephants with their nutritious pods, which make for good eating. The area is renowned for large numbers of elephant, buffalo, hippo and eland, especially during the winter when they concentrate along the river. Predators such as lion, leopard and wild dog are all found in the area. The birdlife is incredible, particularly for both mopane woodland and riverine species with numerous local specials like Collared palm-thrush, Racket-tailed roller and Purple-banded sunbird. 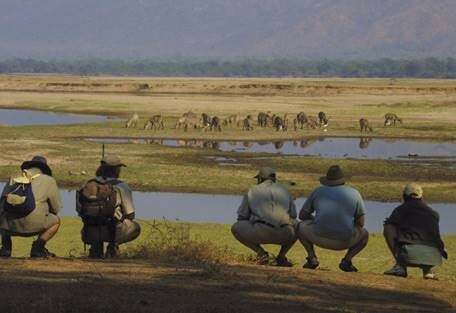 Activities offered in the park usually include wildlife viewing in open game vehicles, as well as on pontoon boats, guided walks and canoe safaris. In the summer months, which last from November to March, temperatures can climb to 40 degrees Celsius, however, the varying altitudes in the park mean that the temperature can fluctuate from place to place. Summer also brings the rains, which are usually in the form of afternoon showers, which are followed by sunny skies. Sometimes it rains lightly for a few days, slowly watering the dry earth and producing new vegetation. In the dry season, which occurs during winter and lasts from around April to October, there is very little rain and a lot of the surface water dries up. The permanent pools that give Mana its name attract mammals and water-dependent herbivores during these dry months making for great game viewing. The coldest it may get in this area is during the nights and early mornings in winter when the temperatures dip to around 12 degrees, while day time temperatures are warm at about 28. Ruckomechi Camp offers privacy and exclusivity in nine luxurious ensuite safari units with indoor and outdoor showers overlooking the open floodplains with the mountains of the Rift Valley escarpment forming a backdrop. 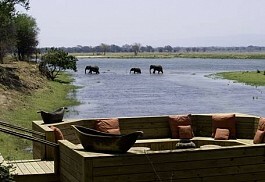 Vundu Tented Camp is set in a beautiful area of the wild and remote Mana Pools World Heritage Site. 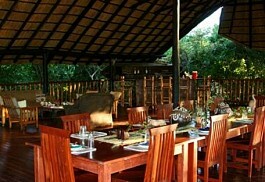 The highlight of this area is that guests will not encounter anybody else, offering one's own private corner of Africa. Chikwenya Camp provides a unique location, incredible game viewing opportunities as well as expert guiding in the game rich Mana Pools area. The emphasis at Chikwenya is the serene Zambezi River, vast endless floodplains and the abundance of wildlife. Kanga Bush Camp overlooks the Kanga Pan, the only source of surface water for a fair distance in every direction, making it a magnet for game, especially in the dry season around September and October when surface water is scarce. 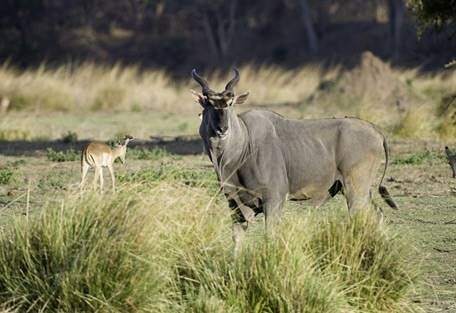 Mana Pools National Park is located in the very north of Zimbabwe on the Zambian border. There are not any human settlements nearby and it is considered a fairly wild part of the country, which is what gives it its unique charm. It is not recommended to self-drivers, particularly during the rainy season, while 4WD are essential year-round for those attempting the drive. Sun Safaris will arrange for guests to fly into the country at either Harare International Airport or Victoria Falls International Airport. From the airport, there will either be a chartered flight to an airstrip in Mana Pools, or guests will connect with a road transfer to their respective lodges. Whether one flies or drives to their destination in Mana Pools will depend on the distance from the International Airport to the lodge, and on the condition of the roads (due to weather). All inter-lodge transport will be arranged by hosts, should guests be transferring.